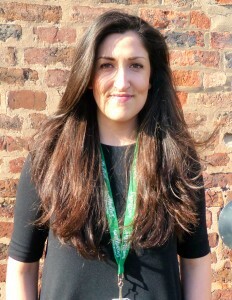 You have a new Community Wellbeing Officer appointed to Knowsley! Wellbeing Enterprises have been awarded with three years of funding to deliver courses and events for Knowsley people between 2016 and 2019. �You will see events and courses springing up in Knowsley such as mindfulness, crafts, Living Life to the Full (to support anxiety and coping skills), sleep and relaxation and singing for �wellbeing. Rachael�Radford�is your new Community Wellbeing Officer, new in post from Jan 2016 and she is keen to talk to residents, community groups and organisations about what courses and events would be well received in Knowsley. �We are keen to make sure that the courses we deliver are what people want to see in their local community. �Many of our courses are evidenced to make a difference to your wellbeing and can help you to feel stronger, healthier and happier. If you would like to attend a course or want to find out more, give�Rachael�or any of our team�contact us. Rachael�has already met with many residents and organisations and is inspired by the vibrancy and community feel of Knowsley.�Rachael�is passionate about supporting people to make positive changes in their daily lives through creativity, mindfulness practice and emotional education.�See our Events section for�What�s On�in Knowsley to keep up to date with new courses and events.